We haven’t written about our massage services in a while, and, to be honest, we think it’s a sign we’re overworking ourselves—and you are, too! When was the last time you enjoyed a massage? If you can’t remember, this blog is for you! 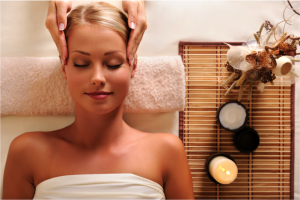 Taking time out to pamper yourself is not only fun but also good for you. Keeping stress in check offers a bevy of health benefits, from boosting immunity and digestion to restoring energy and mood. Less stress also means a more radiant you by keeping the stress hormone cortisol in check. High cortisol levels can wreak havoc on the skin by lowering your body’s ability to fend off free-radicals, resulting in dull, drab skin. Considering what we know about stress, we can’t help but wonder why more of us don’t incorporate regular, periodic massages into our routine. A massage feels amazing and does wonders to relax poor, tired muscles, working out kinks and knots so we can feel refreshed and reinvigorated. Our massage technicians are highly trained to provide the most intense, thorough and gentle techniques for working out tension and helping stress melt away. Laughter is one of the biggest cure-alls, squelching stress hormones and boosting infection-fighting antibodies to improve your body’s resistance to disease. Best of all, laughter triggers the release of endorphins, the body’s happy chemicals, promoting your overall sense of well being. Did you hear the one about three chickens who walk into a bar? Lighten your load and look amazing this fall by stressing less and taking time to enjoy yourself. To indulge in some serious self care, call 918.948.9639 or click here to schedule your consultation today.